Private Equity firms are always looking at the entry and exit of a deal. When firms look to capitalize on a business they are buying into the equity, typically with leverage, and then looking to grow that equity value over time to generate returns. 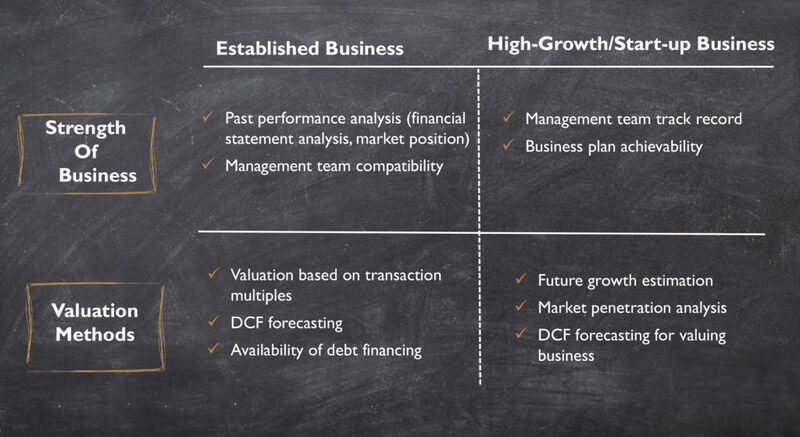 How does a Private Equity firm go about valuing a company? Private Equity isn’t just about traditional buyouts, but it’s a spectrum of anywhere from venture capital, to distressed investing. For basic established business, or Private Equity investing, future valuation is typically based on the past performance of the company. 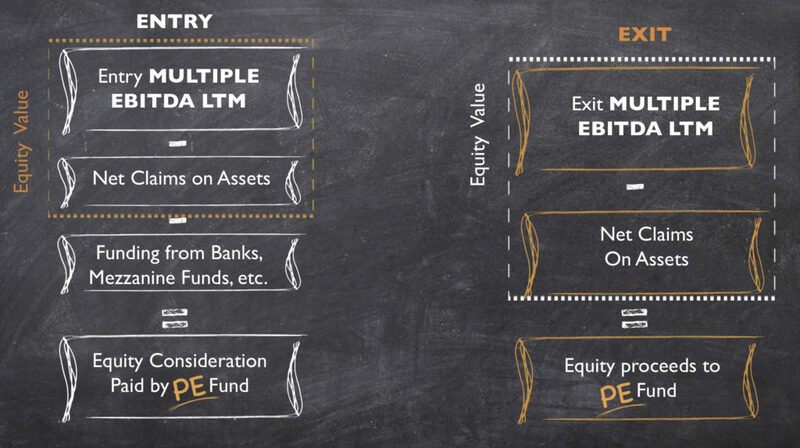 Private Equity firms want the purchase price and structure to complement each other when deciding to exit. 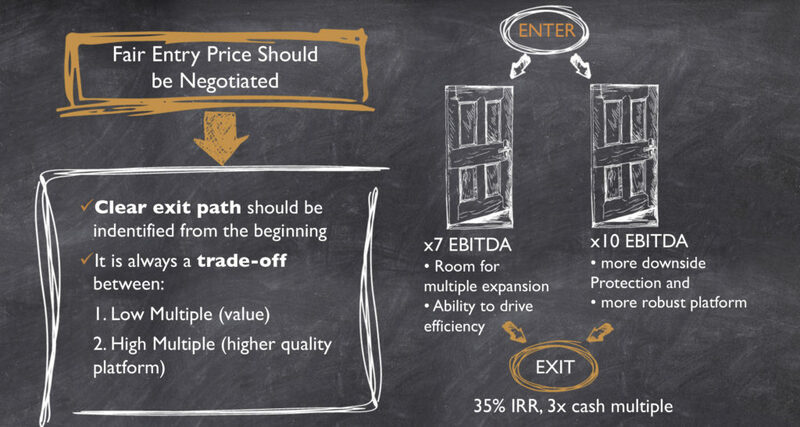 While the exit path can change, it’s going to generally affect the way an initial investment is made. The typical target when exiting is 35% IRR and 3X cash multiple.